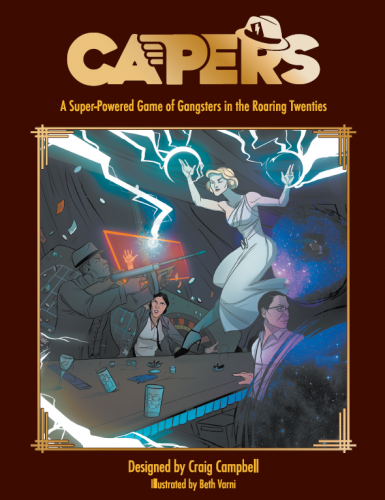 Let’s round up some news bites: Richard A. Knaak’s Rex Draconis, my latest Storytellers Vault review, Origins hotels, where’d the “RPG Kickstarters You Should Back” column go?, some press releases, and a deal! Let’s dive into this news roundup. Going to Origins Game Fair from June 12th to 16th, 2019? While early bird badge registration starts November 15th, the downtown hotels are already available at a discounted rate. Some are sold out, but there are still options. If you’re thinking of going, here’s the links to the discounted downtown Columbus hotels for the show. Click it to see what (if any) options remain. My column, “RPG Kickstarters You Should Back,” moved to the Open Gaming Network. I enjoyed hosting it on the Tessera Guild and look forward to continuing the column at its new home. 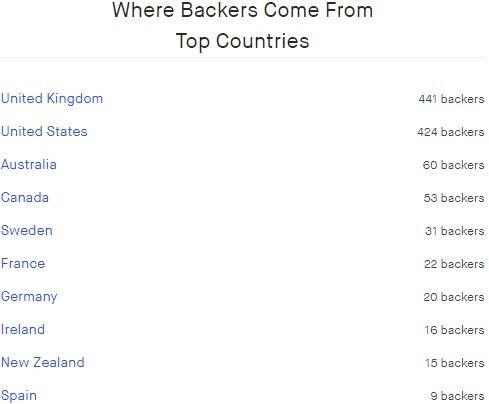 At OGN, I’m delving deeper into Kickstarter reviews looking at the history that inspired them as much as how they’ve gained from using the Open Gaming License. 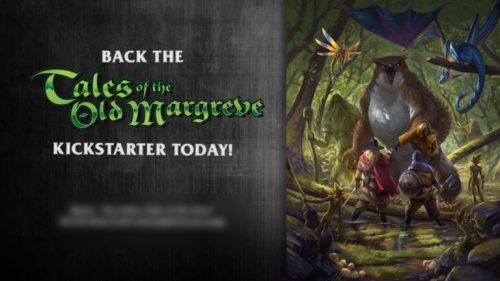 Speaking of Kobold Press’ Tales of the Old Margreve: 5th Edition Forest Adventures, this campaign was only intended to fund completing this adventure book, a print run of it, and VTT files for Roll20 and Fantasy Grounds. The plan was not to create PDFs during this campaign. 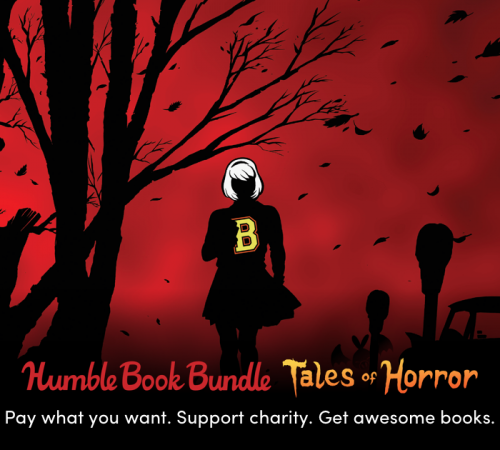 However, after a groundswell of support for PDFs, Kobold has added them to the campaign. If you wanted to back this but only if it included PDFs, now’s the time. For more details, read their campaign update here. 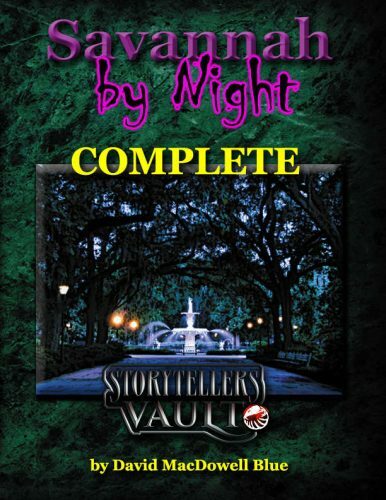 On ENWorld, I look at the [now ended] Vampire: The Masquerade Humble Bundle as well as David MacDowell Blue’s Savannah by Night COMPLETE for the “Storytellers Vault Roundup.” Why did I pick Savannah by Night COMPLETE to review? Because the city lies on the coast of my state (Georgia) and I’ve frequented it a number of times. It’s interesting to see what David created by adding vampires to this colonial metropolis. Several months ago, I shared a press release about Wet Ink Games upcoming Kickstarter, War World Occult RPG. Based on Charles Ferguson-Avery’s art, this “is a gritty horror setting where an eldritch hellscape flows over the battlefields in a fantasy World War”. The game will use the Compass System. We now have a date that the campaign will launch to Kickstarter, October 30th. 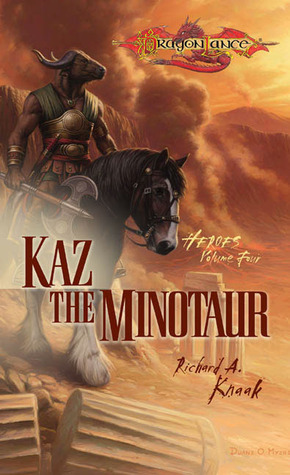 I’ve made no secret of my childhood love of Richard A. Knaak’s Dragonlance: The Legend of Huma, Kaz the Minotaur, and more. 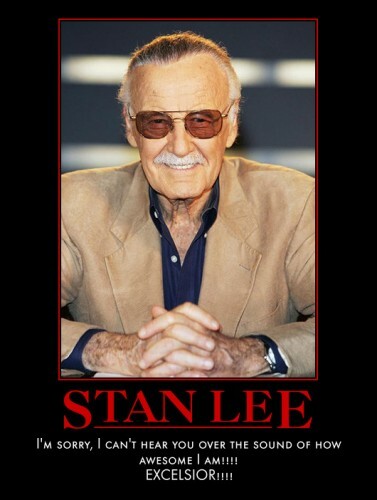 How much have I enjoyed his work? Enough to write several articles and roundup some more reasons to back the Kickstarter to develop this setting for D&D 5e and Pathfinder. On the Open Gaming Network, I interviewed Richard A. Knaak, Phil Beckwith, and Micah Watt about their D&D 5e/Pathfinder 1e conversion of Richard A. Knaak’s latest fantasy series, Rex Draconis, into an RPG setting. Read it here. 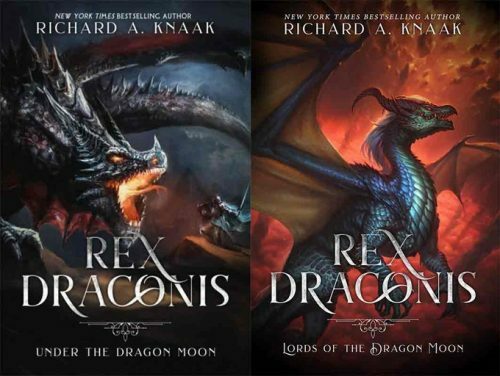 I reviewed the first book in Knaak’s Rex Draconis series, Rex Draconis: Under the Dragon Moon, here. To add to this, John McGuire shared his thoughts on Knaak’s early Dragonlance books here. 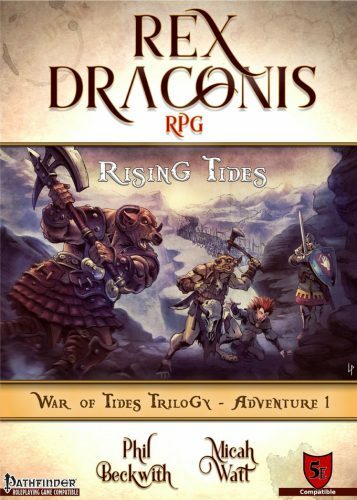 I looked at the Kickstarter for Rex Draconis RPG – Rising Tides here. The product is funded, unlocked its first stretch goal, and ends Sunday, October 21 2018 10:02 PM EDT. Want a preview of some of the gaming content? Check out their latest update here! And there’s a Rex Draconis RPG newsletter with even more preview content and thoughts from Richard A. Knaak as well as the game creators. You can sign up for it here. What are you doing this weekend? On Saturday, October 20th, I’ll be at the GAMA Retailer Award-winning Giga-Bites Cafe with Craig Campbell of NerdBurger Games and more (local RPG creators and gamers) playing some RPGs from 2PM to 6PM or 7PM. I’m excited about it and hope your weekend is equally gametastic! 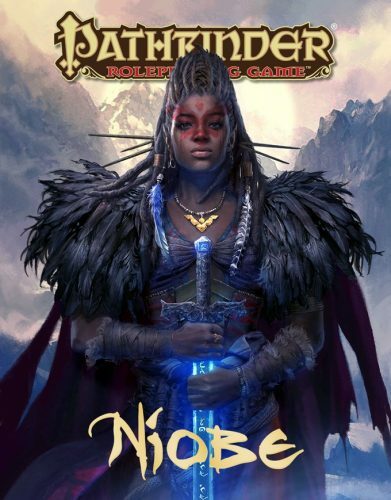 [UPDATE on October 19th, 2018 at 10:10AM] On Paizo’s blog, Niobe: She is Life creator, Sebastian A. Jones, talks about Niobe, Stranger Comics, their latest Niobe Kickstarter, and Niobe: She is Pathfinder [not the actual title] that will let you play in the Niobe-verse using Pathfinder rules! Read it here. To see the Kickstarter, click the image. The Open Gaming Store (the store that funds the articles on the Open Gaming Network, including mine) has a warehouse sale this month. 30% off a variety of tabletop RPG items. Check it out here. Advanced Dungeons & Dragons: Dragonlance. The world of Kyrnn. The continent of Ansalon. The Companions. Camaron. Raistlin. Takhisis. Paladine. Kitiara. Lord Soth. Chronicles. Legends. Margaret Weis. Tracy Hickman. The Legend of Huma. 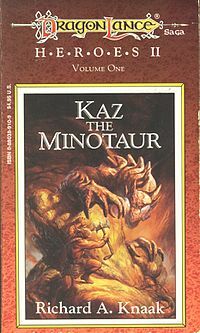 Kaz the Minotaur. Richard A. Knaak. Those settings, characters, books, and authors summarize of my love for D&D’s Dragonlance. 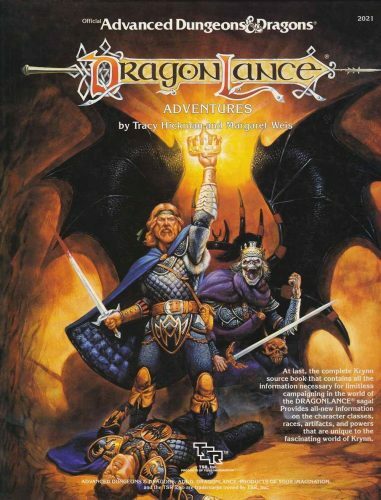 The setting was popular in AD&D, 2e, 3e, 3.5e, and the SAGA system (the last module, for 3.5e, was published in 2008 by Sovereign Press, one of Margaret Weis’ companies and the official licensor of Dragonlance at that time). Beyond the RPG books and sets there were tie-in novels published from 1984 until early 2010 (fellow Tessera Guilder, John McGuire, wrote about those early Dragonlance novels recently), comic books, video games, and a 2008 animated movie. While there was a tip of the hat in a 5e Unearthed Arcana to Krynn’s minotaurs (here), Wizards of the Coast has not published any new Dragonlance game material for a decade, and no new novels in nearing that time span. 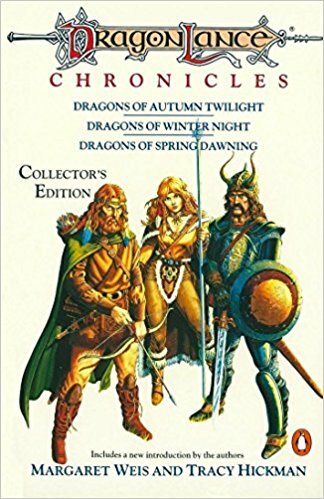 While the full list of every author that touched Dragonlance over those two decades is extensive, the list of authors that most defined Dragonlance novels throughout their existence is four: Margaret Weis, Tracy Hickman, Douglas Niles, and Richard A. Knaak. Their prose gave the world its voice and structure, gifting it with flavor while crafting a complex history. Everyone involved did an excellent job of building the world of Krynn into one of D&D’s premier settings. Knaak built up the world’s history while cementing the sailor minotaurs and Knights of Solamnia and other critical facets of the world. He curved out a section of Krynn that might be dubbed “his” part of Ansalon. However, the downside of working on corporate properties is when the publisher stops producing them, your contract ends, and the sun on your part of the world sets, sometimes forever. Knaak worked on other properties (World of Warcraft, Conan, Diablo, and several of his own series including Dragonrealm), yet the stories of Dragonlance must have continued to percolate in his mind. In 2017, he delivered the first book in a new fantasy series, Rex Draconis. The first novella, Rex Draconis: Under the Dragon Moon, lays out the opening shots of the series. I didn’t read Rex Draconis: Under the Dragon Moon, instead I did the Audible as read by Julie-Ann Amos. For those not versed in audiobooks, an Audible is the same as reading, only it’s not. Julie-Ann Amos elevated the work through her voice acting. Her characters had a life and presence that you do not hear in every audiobook and are not always present in your head as you read. 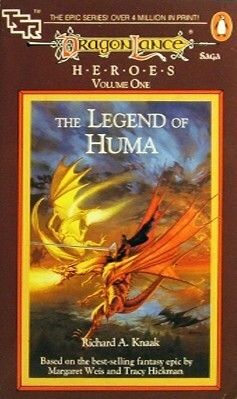 The superficial bits of the novella marked the series as the spiritual successor to Dragonlance. But, it’s not a cloned-Krynn, it’s a skillful homage to Knaak’s corner of Ansalon. A love letter so compelling that it’s inspired Knaak to work with Phil Beckwith of P.B. Publishing and Micah Watt of Pyromaniac Press to convert this prose into a tabletop RPG setting for D&D 5e and Pathfinder 1e (the Kickstarter for is live here until Sun, October 21 2018 10:02 PM EDT). I covered the Kickstarter here, and interviewed Knaak and the rest of the creative team on the Open Gaming Network. What is Dragonlance about this series? Sailor minotaurs. Kwillum, a kender-like species that make more sense than kender. 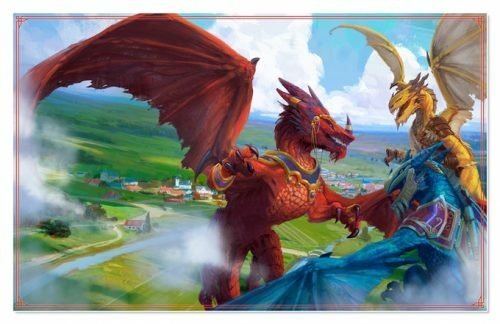 Two species of dragonfolk that have a light resemblance to draconians. Three-ish moons of differing hues. There’s more that, once you see those parts, make the other pieces fit a jigsaw puzzle of a Larry Elmore Dragonlance painting, but on examination it feels more like forcing the pieces to fit. The semi-befuddled mage, Knights of the Shield/Knights of the Grey Hand, the prominence of the gods as components of the sky, the tinker dwarf. Those pieces could be viewed as being taken from Ansalon, yet powerful mages, knightly orders, gods, and steampunk humanoids are common fantasy tropes. It is only when the other pieces are invoked that they form the tapestry of Krynn. Despite the elevator pitch that this is Dragonlance revisited, and some similarities, Rex Draconis is not Dragonlance. Taken as a whole, it is its own world. The minotaur empire is pushing against the human’s world, the “orcs” of this world are the wheyr, a race of jackelpeople who have massive numbers and, thanks to some captured and copied minotaur ships, are a threat at sea, dragonfolk aren’t rooting for an evil goddess or defending mankind, instead, everyone are their pawns, the third moon is visible and shattered into the shape of a dragon, the kwillum are looking for something. There are layers to this world and this first novella offers a taste of each. Who is Rex Draconis: Under the Dragon Moon for? Sword and sorcery fans. Fans of Richard A. Knaak. 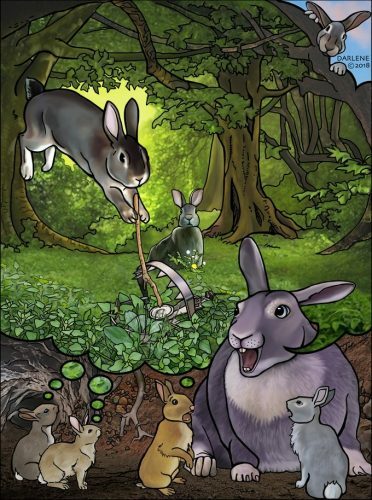 Fans missing their Dragonlance fix that are ok with a reimagined version of the world. D&D fans that want the feel of those worlds back in print. But mostly fans looking for a fantasy world that is fully realized, with interesting takes on the battle between good and evil, one where the series is ongoing and being transferred across medias to work with D&D 5e and Pathfinder 1e on Kickstarter (here). Find Richard A. Knaak’s Rex Draconis: Under the Dragon Moon here. 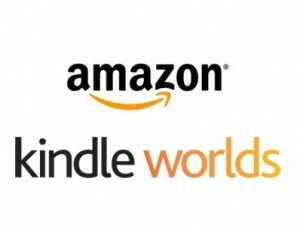 UPDATE: The second novella in the series, Rex Draconis: Lords of the Dragon Moon, is available here. Support the Rex Draconis RPG – Rising Tides Kickstarter, which ends on Sunday, October 21 2018 10:02 PM EDT, here.